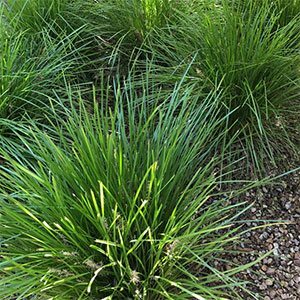 A low care, great looking strappy foliage plant, Lomandra ‘Lime Tuff’ has a range of landscaping uses. This is a hybrid, Lomandra longifolia x confertifolia, and it grows well in range of conditions as long as drainage is good. Used as a boarder plant along pathways or driveways. Mass planted in commercial landscaping, or planted in clumps beneath trees and a good space. If planted in a well drained soil of medium fertility, you will have few problems once established. Pruning is not essential, however many gardeners do prune back to a ball every 3 – 4 years just to freshen up the foliage a little. Fertiliser is not required except in very poor soils. Over fertilisation can cause faster growth than is desirable, and cause need for extra maintenance, and also affect foliage colour. Spread – Will form a clump to around .3 metres. Flowers – Small cream coloured flowers. Drought tolerant – Medium to High. Pine Mountain Nursery is a mail order plant nursery and also specialises in breeding elite agapanthus, clivia and other warm climate bulbs.